"checked in luggage was lost"
✅ Trip Verified | Amman to Barcelona via Algiers. I would not recommend this airlines at all. During my trip from Amman to Barcelona through Algiers, all my checked in luggage was lost, and it has not been found since. I submitted two claims, but the airline never got back to me (not answering phone or email). ✅ Trip Verified | London to Algiers. There was a slight delay, but the service onboard was excellent. Clean, very nice food and friendly personnel. Very pleased with the whole experience. Would fly Air Algerie again. "Aircraft is old and dirty"
✅ Trip Verified | Algiers to Paris, the worst airline ever. Aircraft is old and dirty. Flight time was delayed and postponed. The check in process at counter is very slow. The only efficiency thing is their system down time. The staff is not well trained etc. "My luggage did not come in"
✅ Verified Review | Bamako to Algiers. A 21:15 flight was delayed around 21:30. This was the first we heard anything. At around 22:30 we were told the plane would take off the next day. We were fed by 23:00. Around 00:00 shuttles started to a hotel. I got yelled at by airline personnel while boarding a shuttle. The last of us got to the hotel around 2:30 where we were dropped off with no information. The hotel was absolutely horrid. The hotel personnel shared no flight information so around noon the next day I asked for a number for the Air Algerie personnel who'd made the reservation. He picked up after about 3 calls and told me not to call back. Around 17:00 we were told to be ready to depart at 00:00. Around 23:40 2 shuttles came. There was a mad, unorganized rush to board the shuttles because there wasn't enough space. I got pushed and shoved but left behind. One shuttle left the hotel without having its door closed. Around 00:30 another shuttle came and I managed to get on. After standing in line at the airport for an hour I got a new boarding pass. I was assured that the luggage that I had handed over the previous day would be on the plane. Service on the flight was fairly decent. Plane landed around 8:00 and took off fine. The seat was absolutely filthy, however, and the bathroom was disgusting. My luggage did not come in. I tried to report my luggage as lost but was told I could not because I had no baggage claim tickets (they'd been taken by the airline when I got my new boarding pass). I was told to come back the next morning at 3:00. I got yelled at again while reporting the luggage lost. Another passenger said that a plane from Bamako was coming in at noon and we should wait so I did. luggage came in around 12:30. ✅ Verified Review | Excellent flight, good service with hearty meal (starter main course dessert tea and coffee) Duty service on board. A generous pitch for economy class seats. Note the delay at departure due to the closure of Orly airport and the flights diverted to Paris CDG. ✅ Verified Review | Paris to Algiers. Very good flight, excellent catering, clean plane, but crowded. The cabin is spacious for a 737, room for the legs, comfortable seat. Very good meal for a 2 hour flight. The crew is listening. Only complaint, the windows were dirty. ✅ Verified Review | Algiers to Montreal. The service is very bad, actually, there is nobody to whom to talk my flight was supposed to be on Tuesday at 12;40, But we flight at 1830 cause a strike. The food was inedible. 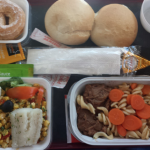 I missed my connection in Montreal to Toronto (knowing I bought my ticket 160$) And for sure, no one from Air Algerie in Montreal to receive us. I spent the night in the airport. I will never ever take this company again. "staff are a mixed bunch"
✅ Verified Review | Flew Air Algerie from Oran to Paris. I do not understand where this airline got 3 stars from, 1 should be more appropriate. The cleanliness, or rather lack of, is a major issue. The newer planes especially are already really dirty (food crumbs everywhere, seats are not cleaned and toilets a disgrace). Staff are a mixed bunch, some are friendly but others have never heard of politeness or friendliness. Languages spoken are Arabic and French, you can forget about English. Food is just acceptable, nothing more. Flights are usually not on time (especially flights later in the day). Legroom is, in fact, acceptable. "aircraft are old and dirty"
✅ Verified Review | Air Algerie is the worst airline I have flown. 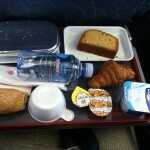 Algiers-Ghardaia flight: one flight attendant, not speaking English, smallest pack of cookies to eat. Algiers to Timimoun flight (2nd May 16) cancelled, due to sandstorm - OK, but no other proposal given, had to fight to get rebooked to Adrar, 9 hours at the airport waiting. Timimoun to Oran flight od 4th May 16 - at the airport nobody knows if the aircraft will come and take passengers, not to mention that nobody knows when. 3 hours delay. Of course at the airport you can not buy anything to eat or drink (not even a bottle of water), just sit and wait. Nothing to eat onboard as well, not even peanuts nor cookies. Altogether over 6 hours with no food. 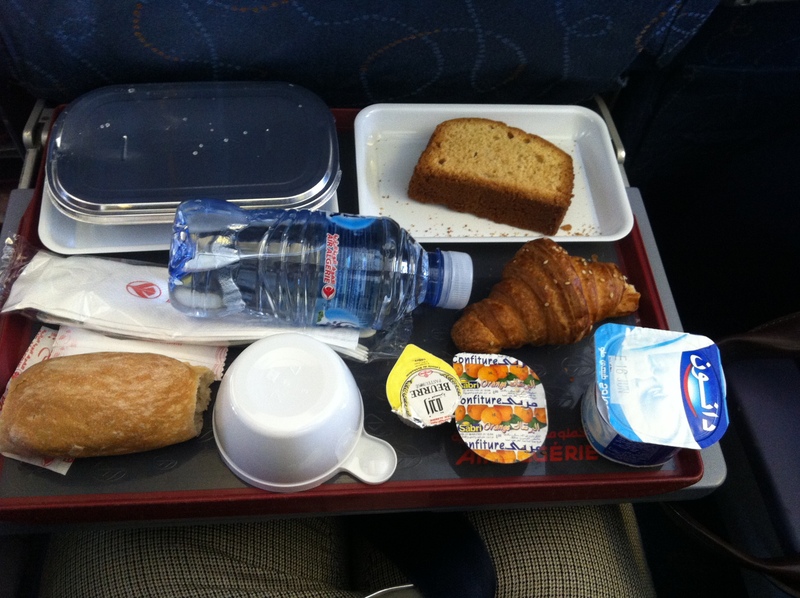 Oran to Algiers flight the same day - the same situation. Nobody knows in Oran if the aircraft will depart today nor when. At the time of scheduled departure we took a taxi to Algiers not to risk missing the flight to Europe (fortunately with Lufthansa). Aircraft (ATRs 72 and B737) are old, very used, dirty. The seat covers are sticky of dirt, seat pockets full of old crumbs and rubbish. If you wish an inflight magazine, you should buy business class ticket, as it is non-existant in economy class. "will not fly Air Algerie again"
I returned on the flight from Algiers to London Heathrow on the 20th December - the flight was over 3 hours late it was scheduled to take of at 10.20am, however 2 hours later no sign of taking off, no information given for the delay, no refreshments offered and worst no apologies specially since the staff where hovering around passengers like zombies. Anyway 2 hours later a call on the speakers said that all Air Algerie passengers should go to gate 16 for an immediate take off which was at the other end off the airport - everybody rushed to the gate thinking that we will be on air in few minutes. When we got there was a long queue and no sign of the aircraft the staff where sitting there like zombies and there was no explanation offered for the delay - about an hour later a very painful and very slow gate checking process started. Still no information on the delay however by that time it was too late anyway, the transfer to the aircraft was by bus and I waited to the last moment to present myself to the gate desk to avoid stuck in the queues unnecessarily. The waiting in the bus was like for ever and to make matters worst it seems the bus did the tour of Algiers to get us to the aircraft because it was at the other end of the runway. When I got in the aircraft I asked why the delay and I was told it was due to the baggage handlers strike. I asked why didn't Air Algerie offer any information, explanation, refreshments or apologies I was told that even the staff didn't know as they where told to carry on with their duties. Still nobody apologised until take off by the captain which was at around 13.30pm. I have championed Air Algerie over other carriers like British Airways but I am extremely disappointed and to add insult to injury I have paid £50.00 more than traveling with British Airways for the same journey. 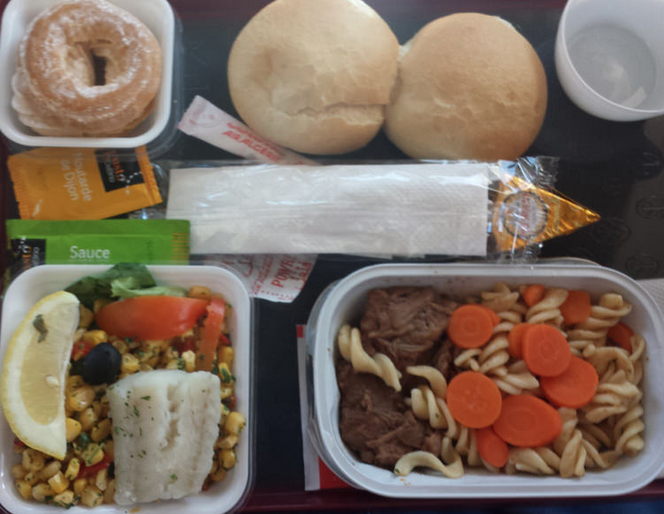 I can promise you that I will not fly with Air Algerie ever again.